It began at The Charles Dickens Museum in London which happens to be down the road from my agent's office and serves seriously good lemon drizzle poppy seed cake in its café. Which makes it the perfect place for a meeting. My agent and I discussed the novel I was writing and talked about sales figures on another book. And then we got down to the coffee and cake stage which is when seeds of new ideas quite often emerge, apparently from nowhere. That day, prompted by the fact that we were sitting in what once would have been Charles Dickens' back kitchen, we chatted about his little Christmas books. Just the right size to be stocking fillers, they'd been mood setters for Christmas each year in my childhood home in Dublin. I still have two worn copies, 1886 and 1903 editions, bought for sixpence each by my father from a bookstall on the quays in 1947. I was describing my annual ritual of curling up with those books at Christmastime and remembering how I'd heard that they'd produced the same fizz of festivity round Victorian firesides when Dickens first published them. And then, between one sip of coffee and the next, an idea emerged. I'd write my own little Christmas book. 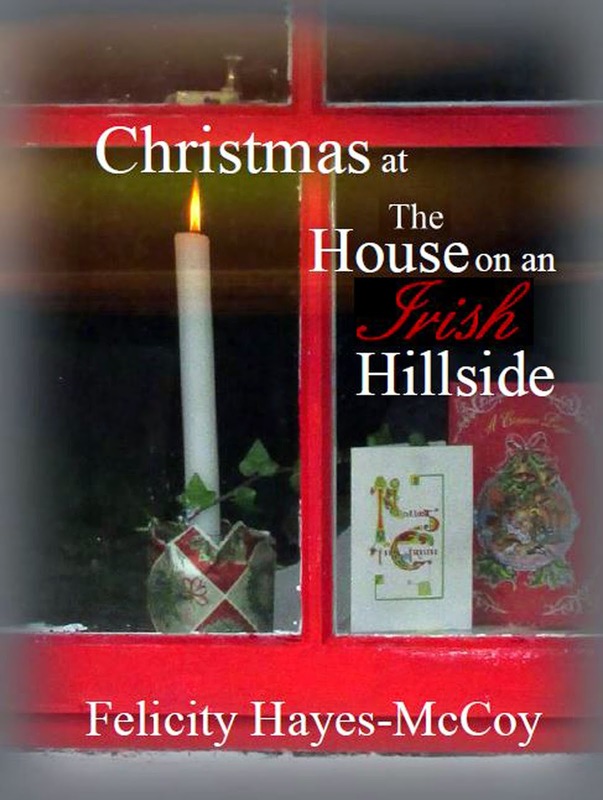 Christmas at the end of Ireland's Dingle peninsula has its own particular traditions, some of which are very different to the Dickensian images of jolly innkeepers welcoming rattling stage coaches, bustling city streets, and overworked clerks wearing woolen mufflers struggling with Scrooge-like employers. Here we walk long beaches on frosty mornings, and at nighttime single candles flicker in the windows of high mountain farmhouses. Holly and ivy are traditional decorations but, until recently, Christmas trees weren't. A salted fish dish of ling with onion sauce is eaten on Christmas Eve. And December 26th, known as The Wran's Day, is celebrated with rituals that reach back to the ancient Celts' midwinter festival. So, Christmas at the end of the westernmost peninsula in Europe has resonances that are very different to those I absorbed in my Dublin childhood from Dickens' little Christmas books. Yet some things about the feative season are universal and timeless. Hot, comforting food after chilly winter walks. Time to relax by the fire. And the urge to reach out to neighbours, friends and family, to share music, stories, food and good fellowship. 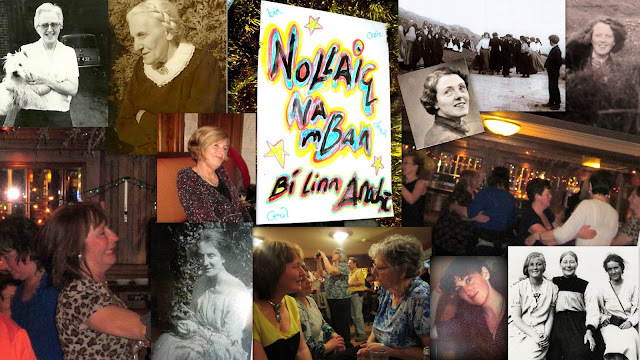 These days Skype and Facebook draw Irish emigrant families together at Christmas time, and my neighbours here on the peninsula send texts to arrange their music sessions and festive gatherings. And as I sit here at my desk in a stone house on the side of the mountain, there on my computer screen are people I've never met and who've never met each other, sending me messages and sharing stories sparked by my photos on The House on an Irish Hillside's Facebook page. That day, sitting with my agent in what used to be Dickens' back kitchen, we talked about that warmth and conviviality engendered by the internet. I said that I reckon that if Dickens were alive and writing today he'd be the king of social media. And, between one forkful of cake and the next, the idea for my own Christmas book suddenly crystallized. Here it is, a Kindle Short, available exclusively for download. You should publish this book, even in it's short form. It deserves to be held and read on more than an electronic device!